Many people fear the future of technology and what it could mean for their lives and careers, but until recently, this was largely the realm of overactive imaginations and Hollywood blockbusters. These days, we are getting a lot smarter…and so are our machines. Outperforming humans in most tasks, people are increasingly concerned that they will find themselves replaced by machines in the work environment of the future. As a Business Analyst how will you stack up? Being in a technical field, such as software development, things move pretty quickly and as a Business Analyst, you need to be front and centre of this change to adapt to and add value to our organisations wherever possible. Some people dismiss the possible impact of machines on careers, labelling the whole idea as ludicrous. Now there are good arguments for the theory that technology has in fact slowed us down rather than sped us up. An occasionally-cited example is that there has not been many mainstream, globally-adopted innovative disruptions in the last decade in the technology space, with maybe the exception of things like block-chain and drone tech, which is still likely in early adoption phase. If you think about how you used to operate in a business context 10 years ago, however, versus how you function now, has much changed? It’s a great question and the answer for many of us is a resounding NO. We drive the same cars with better computers which cost more and if we are lucky, consume less. We still use email for work and personal communication and cellphones to stay in touch for work and play. Yes, the camera is better and the device is slightly smarter and smaller, we have more memory, we have applications and we now have Candy Crush instead of snake, but is that really a leap? Many of us moan about data costs, data losses, dropped connections and poor network signal on devices, but do we have a decent response to that yet? At home we have flatter monitors and your pick of plasma, LCD or LED, but does a curved screen really count as innovation? How close are we to moving off that plateau into an exponential and meteoric rise? Well, I believe rather close and my answer to your collective question of why is… Artificial Intelligence. 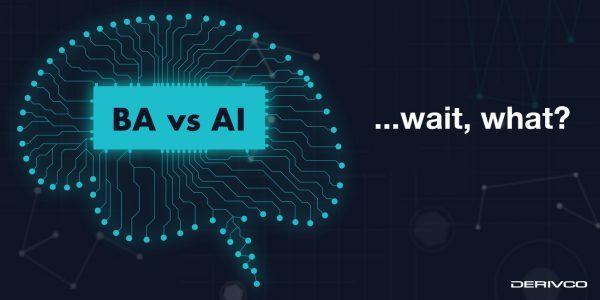 Artificial intelligence (AI) is an area of computer science where computers can be programmed to respond intelligently to certain tasks or make decisions that are usually only done by humans. Often these tasks have some goal in mind and said smart machine is able to problem solve a solution to increase its chances of success. When we speak of AI, we can seldom exclude Machine Learning from the sentence, simply because it is the most commonly understood type of AI and is trending currently. Machine Learning is an application of Artificial Intelligence where basically a machine learns from its mistakes and constantly improves its likelihood of success each time it attempts a task, based on its exposure to the previous experience and the learning it can glean from that. Machines tend to learn a lot quicker than humans simply because they can process information in this format much faster than we can as people. So, with faster learning, far better accuracy, increased efficiencies and quality with enhanced output, why do we need people doing jobs? Can’t we have a workforce of computers and a desktop engineer to manage this workforce’s sick leave? In some cases, the answer is yes, there are many jobs that are perfect for replacement by computers and machines, and it would make sense to do this, whether swiftly as a competitive advantage, or begrudgingly when required to ensure survival. This scenario, however, creates new opportunities in other spaces that are often overlooked or not even considered. Thankfully for the BA Community, one of these areas with increased opportunity is the realm of Business Analysis, in my humble opinion. To use a rather crude example, when asked whether you would rather have a machine elicit your requirements from users, or to help groom the feature you want built, I don’t imagine it is a fair contest. Some jobs at this stage are too complicated on the human level to be understood and executed by machines. So, while there is a massive opportunity for AI in almost every industry (I say “almost” because I don’t want to be categorical and have people prove me wrong on a technicality, but you get the picture), they won’t replace the likes of us. Business Analysts contribute huge value to the software development lifecycle in the people space, where computers have no footing. This value is reflected in hallway discussions with stakeholders, in relationships with end users, in providing context for your customers, in understanding hidden agendas and in dealing with developers who write code on the back of your stories. Being able to do these things is an art, it takes a certain type of person to be able to elicit information, separate the wheat from the chaff and marry the business needs to the technology that delivers the solution. The people element is one thing computers cannot do. They may be intelligent, but they aren’t human, and they aren’t close to getting close. Hone your craft – Mould your experience with intent, list the areas that you need to be versed, competent and exceptional in and then chase those down working in each space. Do your reading – Not only do we learn from other’s mistakes or successes, methods and blueprints, but we get new perspectives that enhance our own opinions and convictions. Read up on the material that interests you most in your profession and have an expert opinion and position on relevant matters. It will build you some credibility. Learn new skills – Step out of your comfort zone and try something different. Learn more about testing in the space of unit tests or automation, learn more about UI and UX or Information Architecture, find something of interest and pursue it relentlessly. Being well rounded is critical in our industry, since there is really so much going on, that the broader your understanding, the broader the appeal for anyone wanting to work with you. Apply these three steps and see where it gets you in the next year as a Business Analyst. Having a diverse skill set and loads of experience to fall back on not only sets you apart, but it will be your saving grace if I am wrong about the machines!